All This In His Name! - Kutty, India, 1969. No title. – Steve Greenberg for Jewish Journal, L.A., 2008. 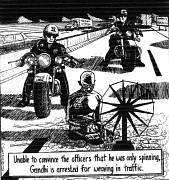 Unable to convince the officers that he was only spinning, Gandhi is arrested for weaving in traffic. The odd thing about assassins, Dr. King, is that they think they’ve killed you. 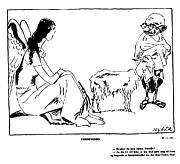 Multimedia Gandhi – Cartoon by C. Wollan, 1983. 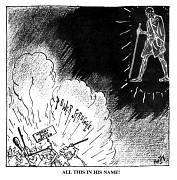 Multimedia Gandhi (colourized) – Cartoon by C. Wollan, 1983. 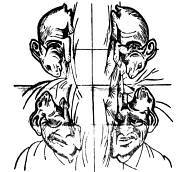 Multimedia Gandhi (colourized background) – Cartoon by C. Wollan, 1983. 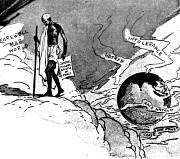 Mahatma Gandhi and the rabbit. – Print out and fold at the folds.